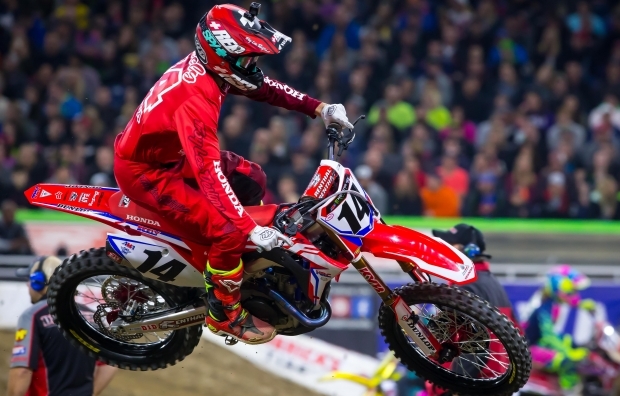 It was a challenging night for Team Honda HRC’s Cole Seely at round 12 of the AMA Supercross series in Detroit, Michigan, as a first turn crash left him fighting for position throughout the entire main event. 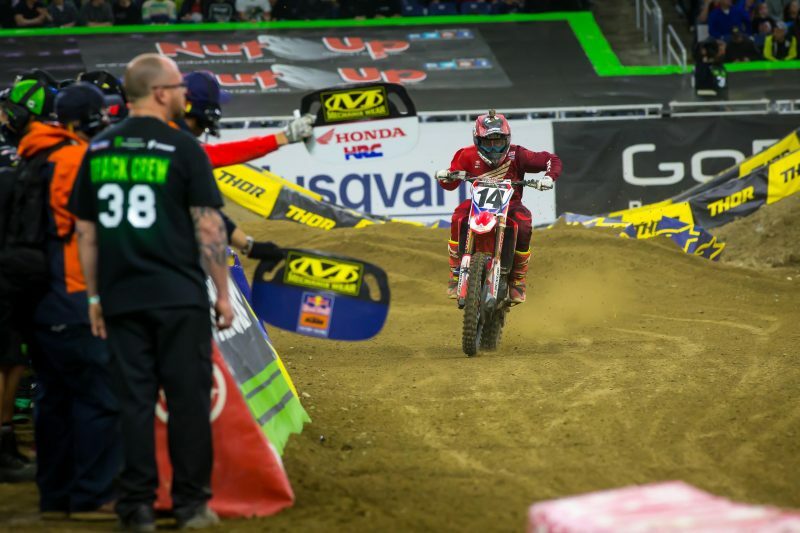 Seely got a decent jump out of the gate and was charging into the first turn when another rider set off a domino effect, hitting him from behind and ultimately sending him to the ground. 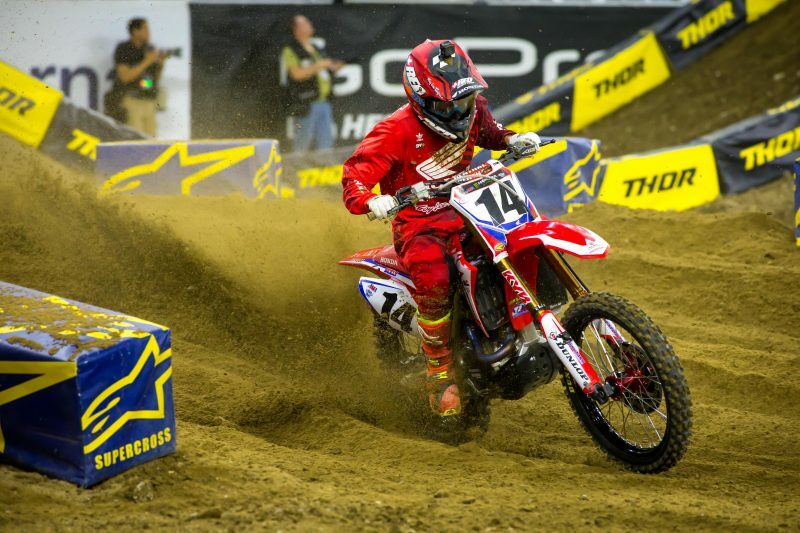 He swiftly remounted his CRF450R and went into salvage mode, quickly trying to work his way through the field. 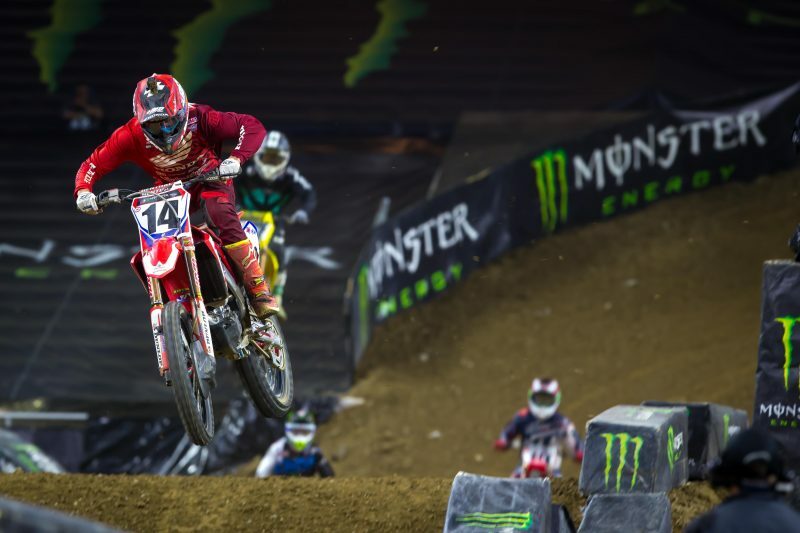 After the completion of the first lap, Seely was 16th but by the halfway point he had made his way into 10th, which is where he would finish. 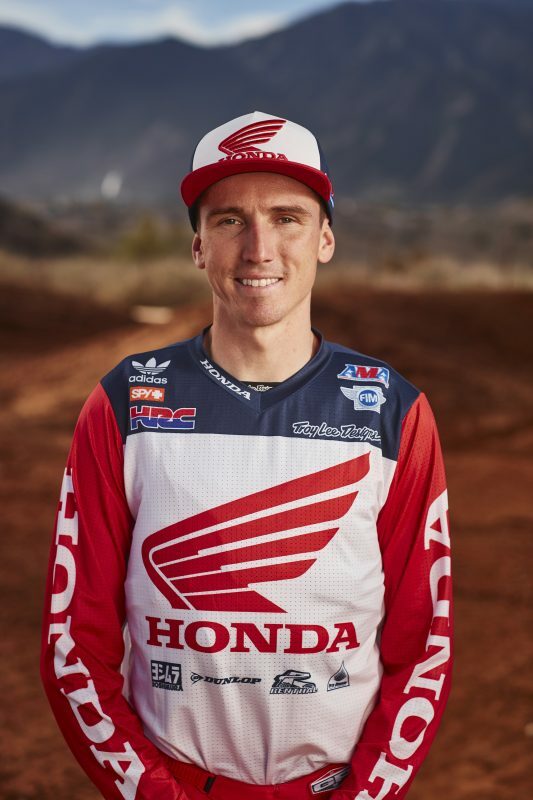 On Friday, Team Honda HRC’s Cole Seely and GEICO Honda’s Christian Craig, along with Adam and Tyler Enticknap headed to Genthe Honda Powersports in Southgate, Michigan for a pre-race supercross party, where fans had the opportunity to get autographs from their favorite riders. 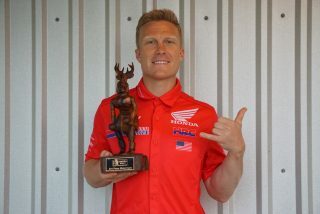 The competition was fierce in practice, with the top riders battling hard for the best mark during the qualifying sessions. A mere .819 seconds separated the top 12 riders. At the end of the daytime program, Seely landed eighth at 52.438. Seely started the night on positive note, pulling the holeshot in 450SX heat 1 and leading every lap of the seven-lap race to take the win. This marks Seely’s first heat race win of the season. 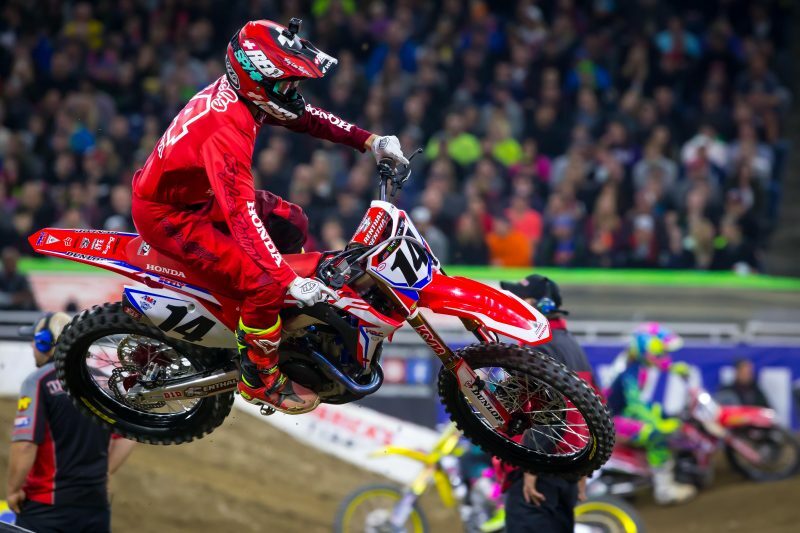 On Saturday, April 1, Team Honda HRC will head to St. Louis, Missouri for round 13 of the AMA Supercross series. 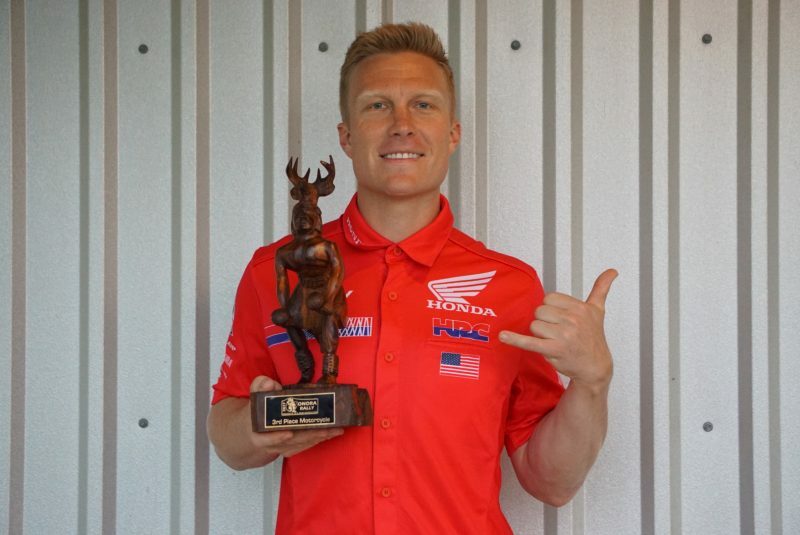 Honda brand manager Andrew Short was absent at the Detroit Supercross, having spent most of the previous week competing in the four-stage Sonora Rally, which was won by Monster Energy Honda Rally Team’s Ricky Brabec. 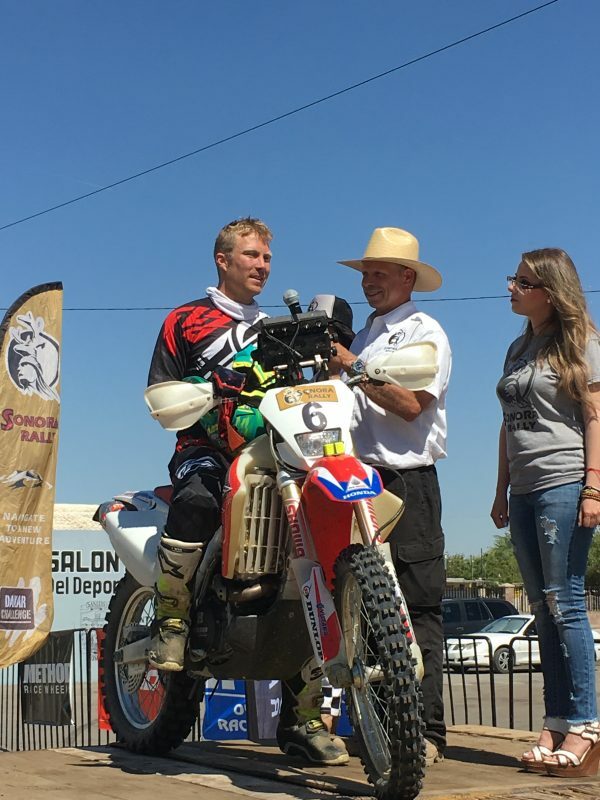 Short, who recently learned rally navigation, campaigned the Mexican race aboard a Honda CRF450X to finish third overall behind Brabec and Ox Racing Honda’s Mark Samuels. Tonight is such a bummer, mainly because I felt so good all day. 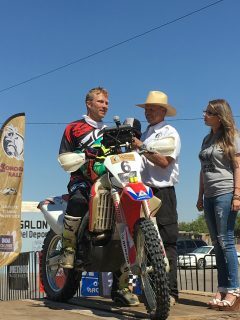 I had a good practice and was only fourth-tenths off first, then got off to a great start in the heat race and won that pretty easy. 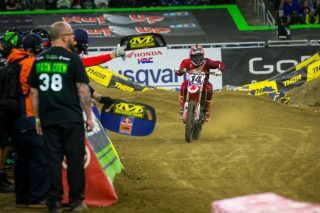 I felt like I was in control of the heat race, didn’t make many mistakes and was just able to put down some solid laps. Unfortunately, in the main event I got hit from behind in the first turn and ran into [Dean] Wilson pretty hard on my way to the ground. It was completely out of my control. When you get off to a bad start and pick up the bike in 20th it’s hard to push forward. Once I got into tenth I was in no-mans land with nobody close in front of me so it was hard to try and make up more ground. I’m just disappointed; I really felt like a good night was coming my way tonight. I’m disappointed because I think the result would have been much different tonight if Cole hadn’t gone down in the first turn. 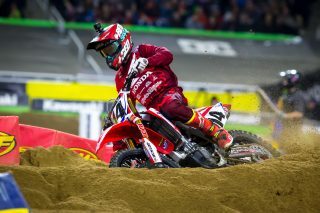 It looked like it was Chad [Reed] who started the chain reaction. 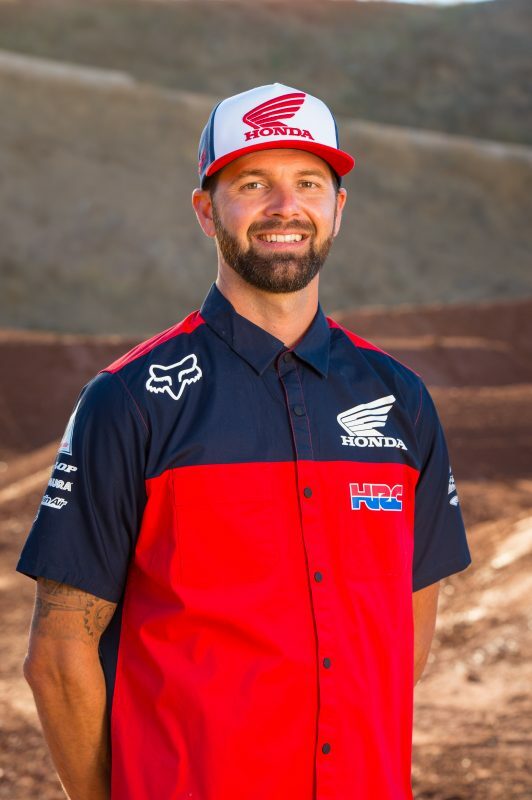 He got into [Ryan] Dungey who plowed into the back of Cole, causing him to go down. When he got up he was pretty much last. 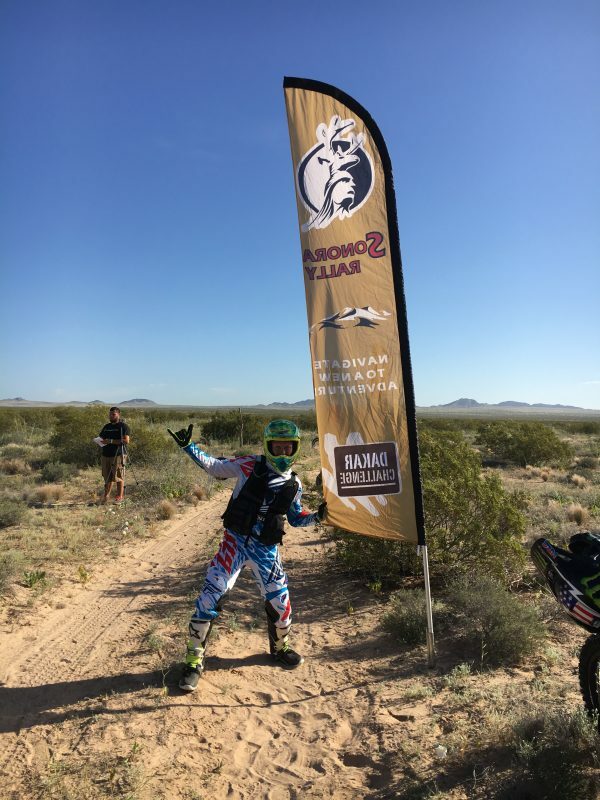 As he was working through the pack, he made a few mistakes and wasn’t able to get by some people fast enough so he could only get up to tenth. Definitely not what we wanted but he salvaged some points so that’s good.